Lumiere Hotel in Telluride was recently voted #5 Best Small Hotel in the USA Traveler’s Choice Awards from TripAdvisor.com. This is not Lumber’s first recognition as it has been rated a AAA Four Diamond hotel, a Forbes Travel Guide 4-star hotel and Conde Nast readers have ranked it #1 hotel in the West and #20 best hotel in the USA. Now two members of the executive management team of Lumiere, also Telluride locals, have purchased the the hotel’s commercial units and the hotel and restaurant operations. Susie Schaefer-Russell and Clare Evans-Afman both of Telluride are the new and proud owners of this high-end boutique hotel. Their desire is to turn Lumiere into something akin to Aspen's world renown “Little Nell” but of Telluride. As Little Nell in Aspen is known for its exemplary guest services, international clientele and five star, five diamond luxury so is it the goal of these two women to create a similar experience for their guests here at Lumiere in Telluride. Though Lumiere functions as a hotel it’s personalized guest services and chic yet cozy slope side accommodations create an atmosphere which feels like a home away from home. The hotel and residences consist of 11 guest room suites and 18 one to five bedroom condominiums inclusive with the Bijou restaurant (previously, the Little Bar), two ski valets, a gym and outdoor soaking pools. Incorporating these surroundings with seamless first class hospitality and one can quickly visualize Lumiere’s progress to such a five star status. Both Schaefer-Russell and Evans-Afman have worked several years together to improve the tremendous level of guest services along with fostering the intimate ski lodging experience and only see this improving. Two new feature programs to continuing down this path are the new restaurant, Bijou which will be open daily from 5-8pm with apres ski tapas and dinner menu. Then the introduction of the new program, Le Valet, which will allow people to purchase deeded parking spaces in Lumiere's garage along with full access to the hotel’s services and amenities such as the ski valet and ski lockers. 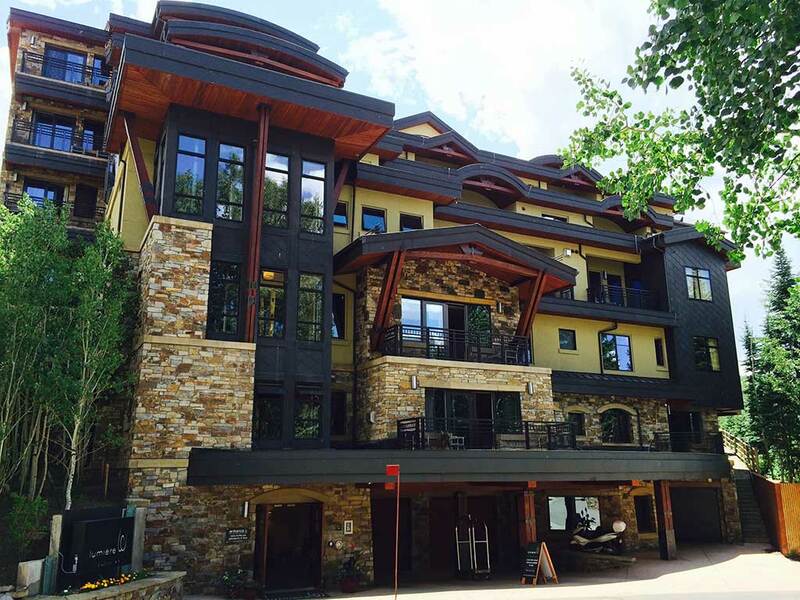 The program should become popular as many stand-alone condominiums in the Mountain Village core lack adequate parking as well as any similar hotel amenity services. With continual praise from previous visitors to Lumiere, it’s constant accolades and recognition in various travel publications, as well as these two Telluridians commitment to innovation and guest services, Lumiere is on track to quickly reaching its five star goals.